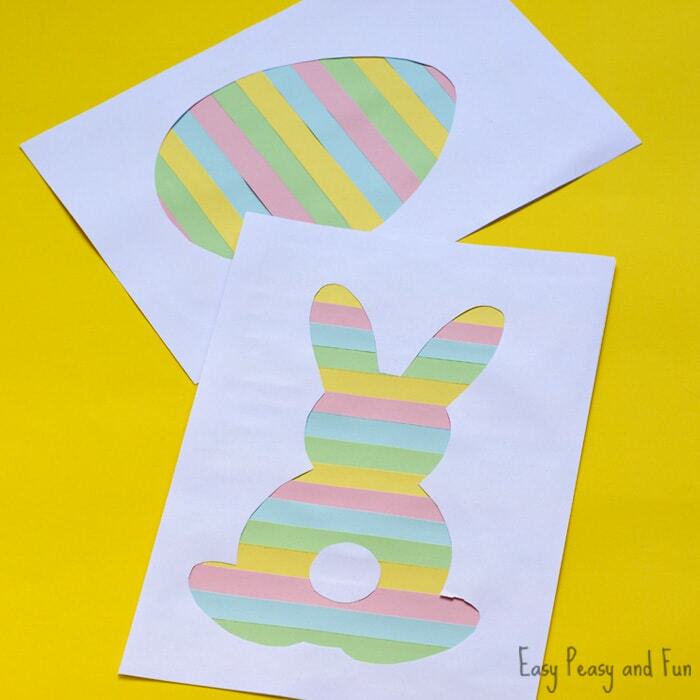 We have jet another wonderful Easter project to share with you! 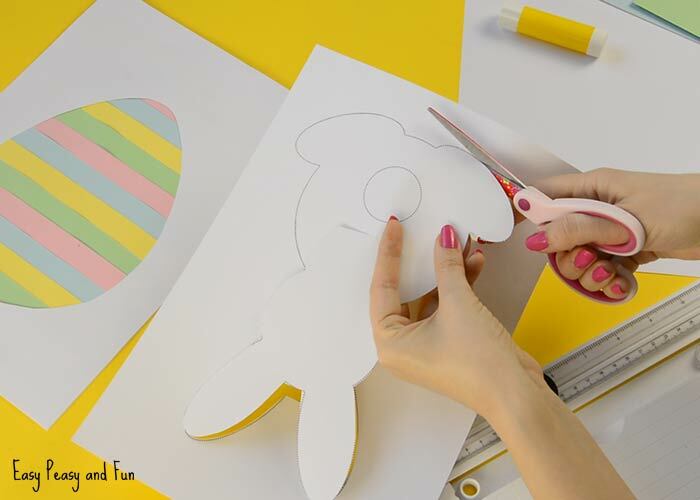 This Easter Silhouette Craft comes with a free printable template and it will look wonderful as an DIY Easter decoration. 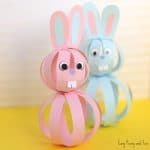 Easter is one of those holidays that is celebrated by a lot of people and whatever your reasons are to celebrate this holiday we are sure bunnies and Easter eggs are part of it. 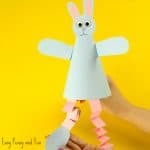 We’ve been busy sharing easy crafts kids can do, this one included, but we feel this particular one bodes well with kids at heart too. It’s easy and quick to make and it is quite an eye catcher once finished. 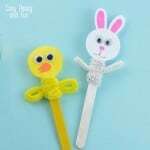 As this project can be used as a decoration it will also make a wonderful gift for family and friends (especially if it’s kid made). 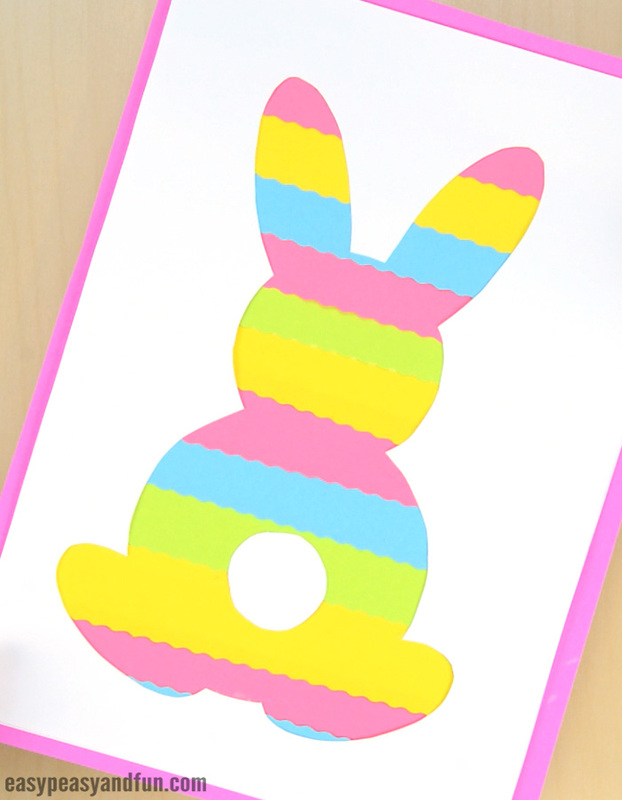 We opted for a Easter color scheme with soft pastels but there are no color limitations at all. Start by cutting out the silhouette outlines. 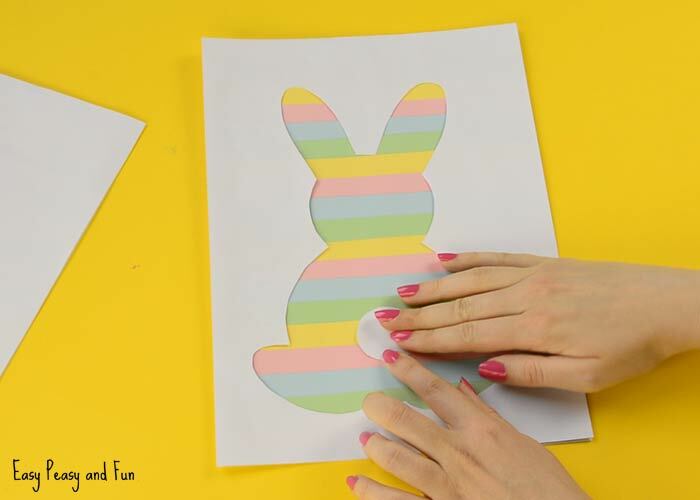 We’ll be showing you how to make the bunny. 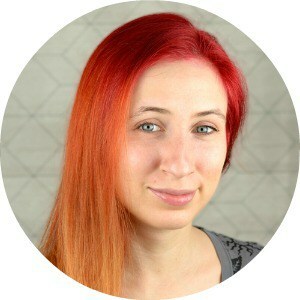 Do not discard the little bunny tail :). 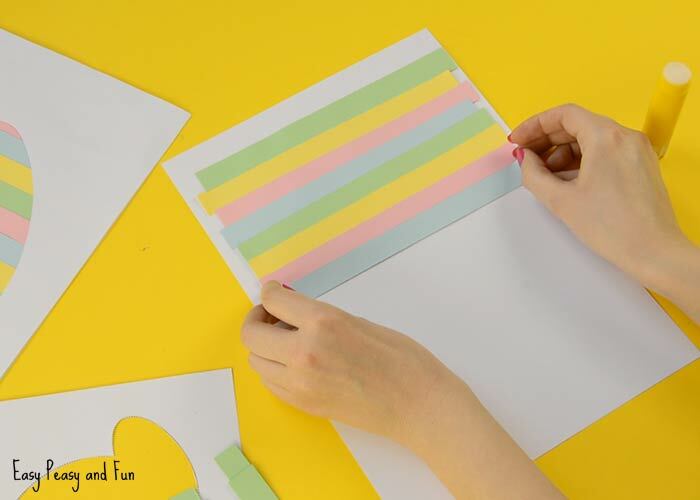 Cut plenty of strips of colorful paper. As previously mentioned we decided to go with soft pastels. 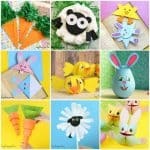 Very Eastery. 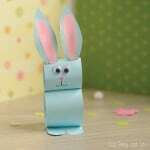 You can use scissors, paper trimmer or just rip the paper with your hands for a more dynamic look. 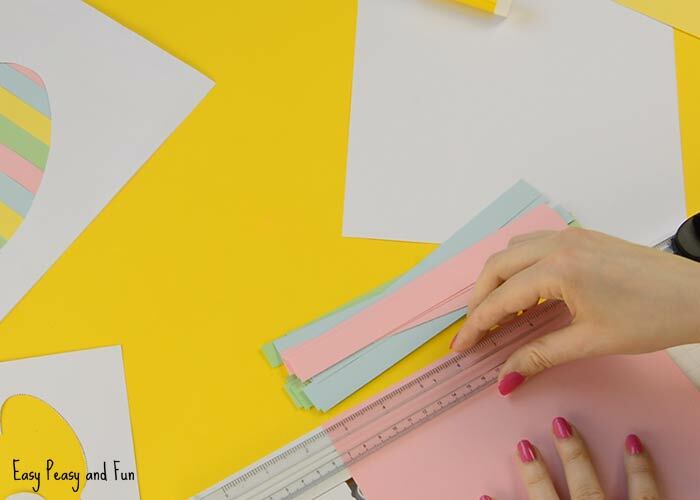 Glue the strips of paper on the white sheet of paper. 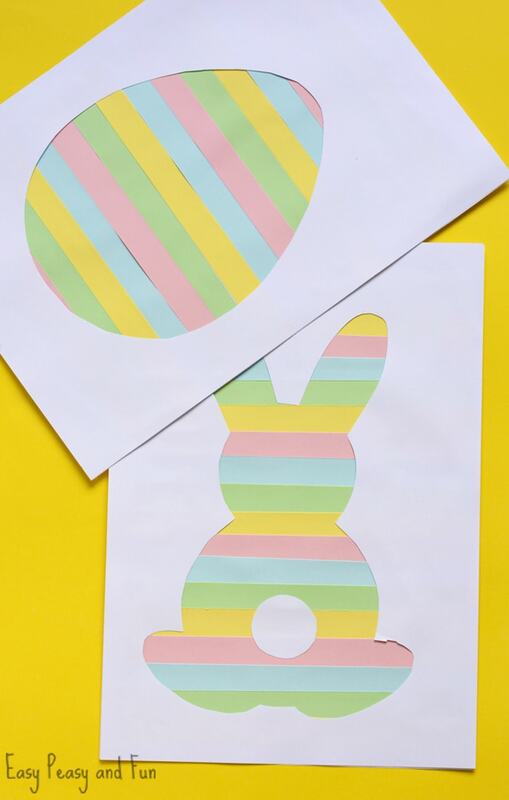 Once all the paper strips are on their place apply a glue on one side of the paper with the bunny silhouette. 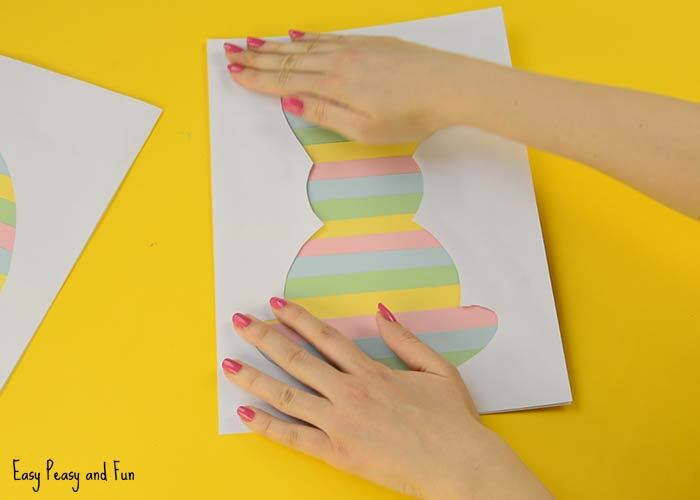 Glue it on top of the paper with all those colorful strips. 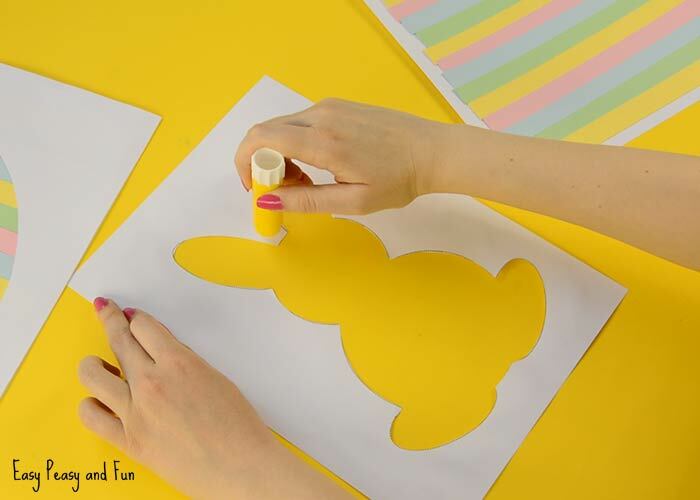 All there is left to do is to pop on the little bunny tail and your Easter Silhouette Craft is all done and ready to be displayed. 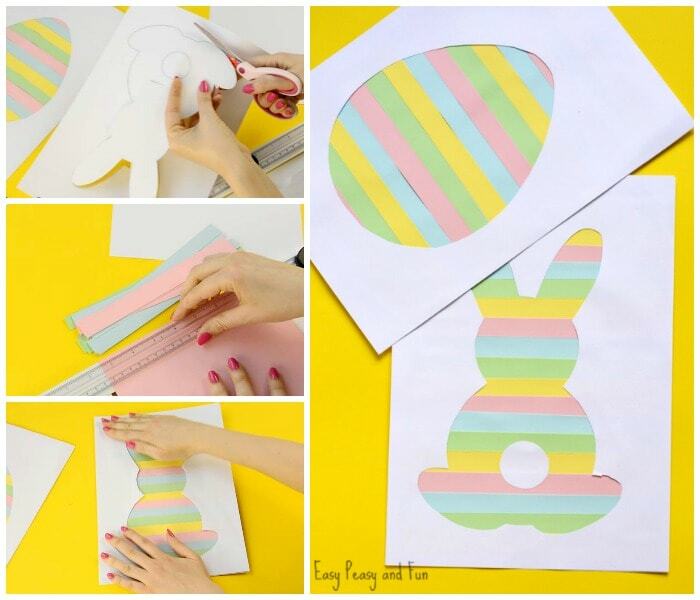 Repeat the process with the Easter egg silhouette.